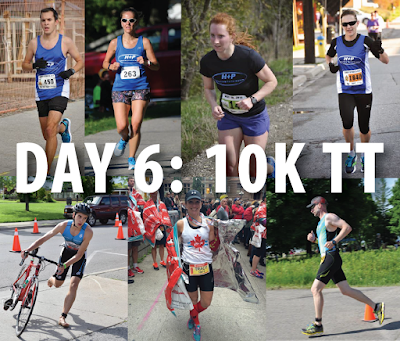 WELCOME to the Health and Performance 2015 ENDURrun blog. Throughout the week, we will be updating this post on a DAILY basis with the most up-to-date results along with a preview of upcoming stages. Follow their full results here on our stats page. Men's A1 team: Ahmed is up. After a tough month away during ramadan, he is looking to run low-1:20, put the team in first place. He wants to keep the men's A1 team in striking distance of the record and close to the 2014 team which started with a 1:16. Men's A2: Mailman is looking to run a solid 1:25-26-ish which would give them over a 10-minute advantage over the 2014 A2 team. He is also looking to solidify the team's position in 2nd OA. Women's A: Kailey is up, and is looking to post a massive PB and break 1:30. She should give the women's team a slight advantage in their competition vs. the men's masters team. Men's Masters: Don up and is looking to PB and to keep their team within striking distance of the women's team- anything less than 5 minutes! Team Sam: The team captain, Sam is up first. He is expected to lose some time to his competitor on team Laura, but is aiming to PB and keep his team close enough to strike back on stages where they have the advantage. Team Laura: Lucas is up, and is looking to post a massive PB, and create a significant gap between himself and Sam LaLonde. Mixed Team: Tammy is up. She is looking to get the team off to a solid start, and maybe even take down Derek Hergott in the process! 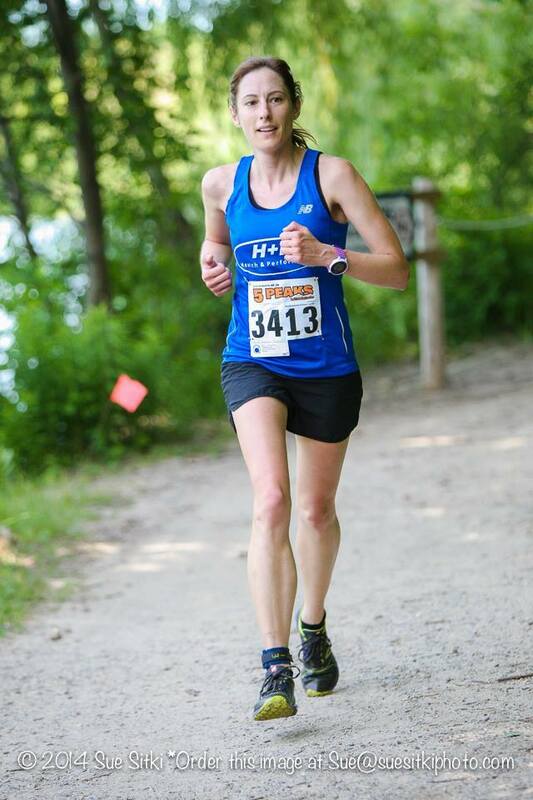 Val Hobson posted a stellar new PB of 1:34, and now sits in 4th place OA! Manny had an outstanding race, beat Howie in the #MannyVsHowie challenge for the first time this year with a 1:46 clocking. She sits in 7th OA. Vicki ran a very solid 1:46 despite a foot injury, and now sits in 8th place. She is still within striking distance of her EB from 2014. RunnerRob got off to a great start, coming in with a time of 1:17:39, putting him in 1st place OA for the ultimates. Fighting a cold, Dave still salvaged a very strong run. He ran 1:27, and now sits 8th. He is about 1 minute off his EB from 2012 at this point! 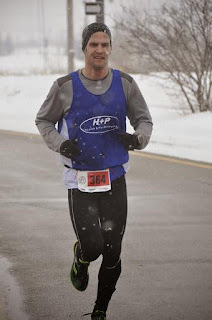 Jeff Martin had an outstanding half marathon, posting a 1:33, good enough to put him in 10th place OA. This also places him 1 minute ahead of his previous EB from 2013. Howie had a solid race, but dropped the fist match up against Manny with a time of 1:53! Derek Hergott got off to a very solid start an an ER rookie, coming in with a 2:11 clocking. Men's A1 team: Ahmed posted a 1:23:59, which puts the team in 1st place OA. They are now about 7 minutes off of last year's pace, but still on track with their current plan to set a new ER relay record. 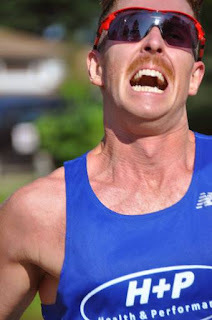 Men's A2: Aaron Mailman battles his post-honeymoon fitness loss to put in a very solid 1:28, placing the team in 2nd OA. This also gives the team almost a 10 minute lead over last year's A2 team. Women's A: Kailey did not run exactly how she wanted, but still posted an outstanding time of 1:34:10! This is good enough to put the team in 4th place OA, and to give them a lead over the men's masters team! Men's Masters: Don had an outstanding race. Running 5 minutes faster than expected, he posted a massive new PB of 1:34:38, which means the gap to the women's team sits at a mere 28s! Team Laura: Lucas got the team off to an outstanding start. He ran a very solid 1:37 to set a new PB and to give team Laura the required commanding lead they will need to win the #SamVsLaura challenge. Team Sam: Sam posted a very solid 1:44 for the team, keeping his team within striking distance of Team Laura. #TeamSam now sits in 7th place OA. Mixed Team: Tammy has an outstanding start for the team. Running with Derek for most of the race, she posted a very solid 2:11! Men's A1 team: Adam is up for the men's team. He is looking to post a massive 15K split and single-handedly put the team ahead of last year's pace. He's looking to run 50-51min. Men's A2: Mike is up! This is his 3rd year in a row tackling this course and is looking to post a massive PB, to better his 67min time from last year, and to strengthen the A2's position in 2nd OA. Women's A: Coach Gillian is up for the Women's A team. With a slim lead of 28s and a strong competitor in Holger on the Masters team, she is hoping to run at her best to keep the women within striking distance of the Masters team. Anything in the 62-63 range would put them in a position to do this. Men's Masters: Holger, the mileage man himself is up! He's chasing a PB close to the 1:01 range, and is seeking to bump the team up to 3rd place ahead of the women's team and RC team. Team Sam: Cari, one of Laura's most notorious rivals is up in the 15K to race head-to-head with Laura. She is hoping to close some of that 7 minute gap to Team Laura, and bring her team back into contention in the #SamVsLaura challenge! Team Laura: Laura, the captain is up to face Cari! She is hoping to maintain as much of that time gap that Lucas produced as possible! Mixed Team: Nicole Green is back in action after some time away from running. Val Hobson posted yet another PB 1:03:56, finishing 3rd on the stage. She now sits 4th, but only 2 minutes off the podium with a lot of miles still to run! Vicki had a better day with her foot, and managed a new PB of 1:09:47. She now sits in 7th OA. Manny ran a very solid 1:13:19, and now sits 8th OA. She just barely lost the stage to Howie in the #howievsmanny challenge. The stage tally is 1-1, but Manny still has a lead of 6:12 OA. 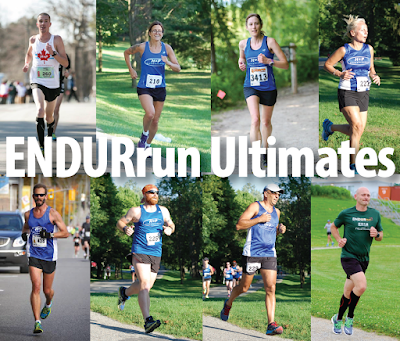 RunnerRob had another great performance, running a best time among the ultimates of 53:41. His OA lead is now 5:57 after 2 stages. Dave had a good bounce-back stage, running 59:09. This brought him up one spot past last year's second place finisher. He now sits 7th OA, but less than 2:30 off the podium. Jeff Martin ran a strong 1:06, and now sits 11th OA. Howie ran a very solid 1:12, good enough take the second stage of the #HowieVsManny challenge. He is now 6:12 behind Manny OA, and sits 22nd OA. Derek Hergott ran through a very tough injury to finish with a strong 1:24. Men's A1 team: Adam ran an unbelievable and numerically easy to remember time of 48:49. He was the fastest of the day and set a new CR. 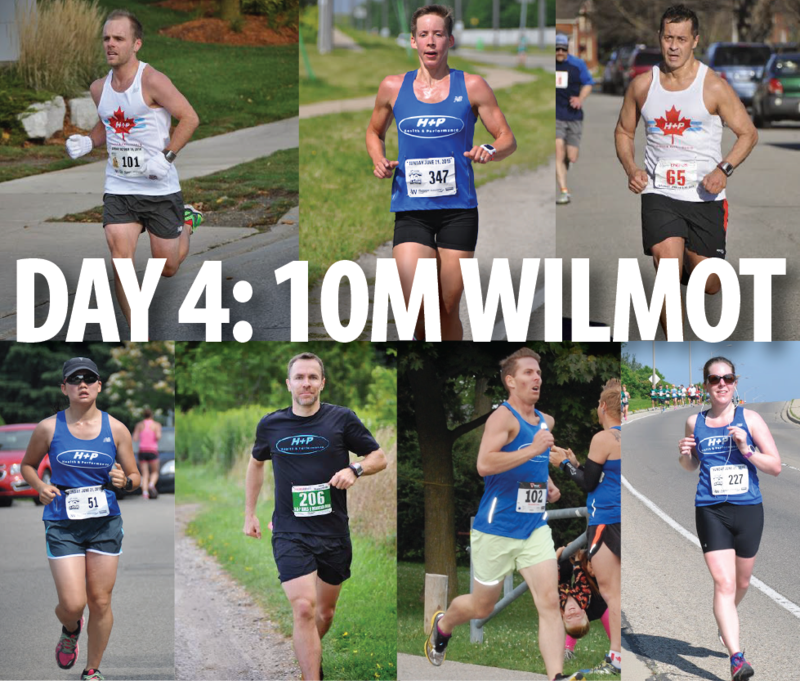 This was a huge performance, and not one we expected with an average pace of 3:15/K. This padded the A1's lead to now 17 minutes over the A2 team. More importantly, it puts the team 5:41 ahead of last year's pace, and on a trajectory to beat the course relay record. Men's A2: Mike posted an extremely solid PB of 61:12. This was the second fastest relay time of the day, and padded the team's position in 2nd OA. Women's A: Coach Gillian ran an outstanding time of 1:03:44. This was fast enough to put the women's team 4:20 ahead of last year's pace to break the women's team record. It was also a mere 2s slower than Holger, and fast enough to overtake the RC team, pumping them up to 3rd place OA. Men's Masters: Holger posted a strong 15K of 1:03:42. This time brought them within striking distance of the women's team for 3rd place OA (26s back). It also brought them to within 18s of 4th place behind the RC team! 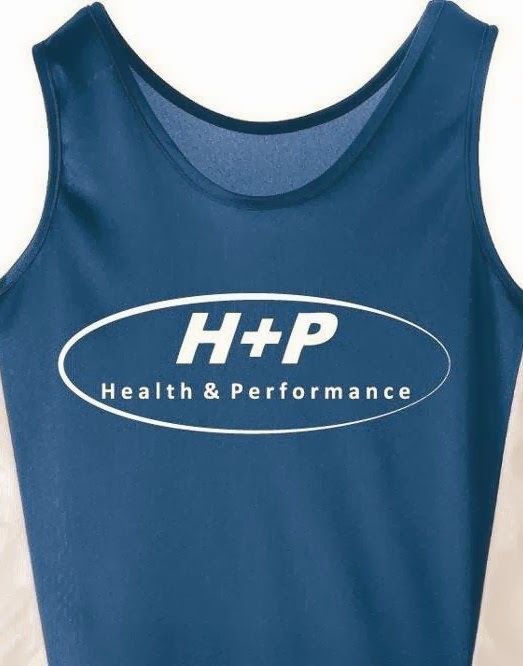 Will there be a podium sweep for H+P? Team Sam: Cari ran an outstanding PB of 1:26:22. This kept team Sam very close to Team Laura in the #SamVsLaura challenge. #TeamSam now sits in 8th place and 7:05 back of #TeamLaura. Team Laura: Laura posted an unbelievable and unexpected PB of 1:25:35! This grew her team's lead over Team Sam, and was enough to maintain their position over the 2nd RC team. They now sit in 6th OA! Mixed Team: Nicole Green had a great return to running after a long time away. She ran 1:26 for the 15K, and the team sits in 9th place. Men's A1 team: Luke is up for the men's team. 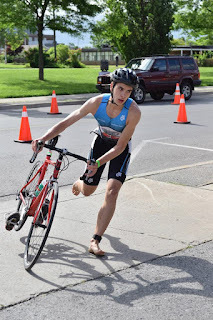 His only goal is to run as fast as possible to chase the relay course record- a 2:10 would be a complete success and within his ability, but how will his legs respond less than 2 weeks removed from IM Canada? Men's A2: Jan is up for the A2 team. Originally on the masters team, he has really stepped up to replace Ahmed/Luke who had moved up to replace Brendan on the A1 team. Jan is looking to battle hard to maintain the team's position in 2nd OA. Women's A: Helen is up for the women's team. The women's team is expecting to lose some time on this stage as Helen is matched up with the very speedy Holger. She is looking to beat her time of 3:02 from last year and keep the team on pace to breaking the women's relay CR. Men's Masters: Holger is back in action once again. Stepping in as a last minute addition to fill an empty spot, he is looking to run under 2:30, which should give the team a boost from it's 5th place position- will the men's Masters team sit on the podium after the 30K? Team Sam: With a 7:04 gap to Team Laura, Team Sam has work to do! Justin Buis is up, but is facing off with a runner of very similar ability on paper- that 7:05 gap will most likely not change very much, but who knows what can happen on race day! Team Laura: Eric Hunsberger is up for Team Laura. He is looking to battle with Justin of #TeamSam, and fight to maintain if not grow upon their 7:04 lead. He is also looking to maintain or perhaps even improve upon the team's 6th place OA standing. Mixed Team: Charlotte is up for the mixed team. The 6-day Canadian record holder will be using this stage to train and have some fun along the way! Val Hobson had an outstanding performance. Running 2:31 for the 30K, she was able to put about a 1 minute dent into the 3rd place athlete. She now sits a mere 28s off the podium! Vicki ran a very solid 2:42 which bumped her up yet ANOTHER position to 6th OA! Manny ran a solid 2:59, and now sits in 9th OA. This time was enough to take another stage from Howie in the #HowieVsManny challenge. The race is now 2-1 in Manny's favour! She also holds about a 15minute lead over Howie OA. RunnerRob ran the fastest time of the day, finishing in 2:01:57. He now carries a 17:31 gap to his nearest competitor. Dave ran a very solid 2:15 and continues to rebound from his cold. This bumps him up to 6th place OA and a mere 38s out of 5th! Jeff Martin had another great day at the office finishing in 2:30, and still sits in 11th. Howie battled hard to run 3:07. Manny took this round, and he is now down 1-2 in the week long #MannVsHowie series. Derek Hergott announced with a heavy heart that he will be dropping out due to injury. This is GOOD news for the rest of H+P though, because they just picked up the best cheer-squad leader of all time! We all hope you recover quickly D! 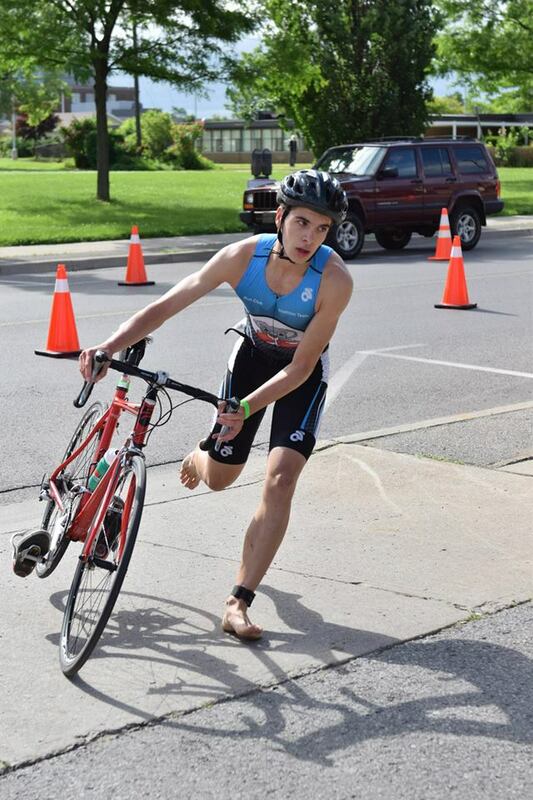 Men's A1 team: Luke proved his recovery went smoothly from IM Canada and showed why he is a sure thing when it comes to endurance events. He ran an outstanding 2:11, giving the team a 41minute lead over 2nd, and an 18 minute lead over last year's A1 team- the course record is in sight! Men's Masters: Holger put his mileage on display today! He ran a new PB of 2:27 which was the second fastest relay time of the day and took the men's Masters team way up in the standings from 5th all the way to second OA! They now have a 22:44 lead on the women's team. Men's A2: Jan ran an outstanding performance of 2:39 which was enough to keep the A2 team on the podium in 3rd, and a mere 9 minutes back of last year's A2 team. Women's A: Helen had a massive PB of over 10 minutes, coming in with a time of 2:51. The women's team now sits 22:44 back of the masters team and 15 minutes ahead of women's team record pace! They now sit in 5th OA, but only 1 minute out of 4th! Team Sam: Justin Buis was up and knew #TeamSam needed a boost. He went out hard, and felt it during the second half of the race. He finished with a 3:02, and Team Sam now sits 28 minutes back of Team Laura. They are less than 1 minute out of 7th place! Team Laura: Eric Hunsberger had a very strong run of 2:41 for Team Laura. This gives his team a massive lead of 28 minutes which is a gap they will need as they approach stages where Team Sam has the advantage! Mixed Team: Charlotte put in another consistent and solid effort. She ran 4 minutes faster than last year with a time of 3:00:29! This shrinks the gap to last year's mixed team to 40 minutes. Men's A1 team: Coach Sean is up for the men's A1 team. He is hoping to improve upon last year's team time of 1:03 and to keep the team on pace to break the course record. Even though A1 is 18 minutes ahead of last year's pace, and 7 minutes ahead of the course record pace, Rob's 2:41 marathon will not be matched this year. We will want to give him at least a 10 minute buffer to make this record attempt realistic! Men's Masters: Speedy is up! He is hoping to battle to maintain the team's position in 2nd, but is in tough against Dave Haiser of the 3rd place A2 team with ~2 minutes separating the two teams. Men's A2: Dave Haiser is up, and is looking to chase down Speedy to pump the team back up to 2nd place OA. The gap is about 2 minutes! Women's A: Andrea is scheduled to race. She is looking to improve on the team's lead in breaking the women's relay record- anything faster than 1:35 will do this! She is also hoping to close the gap on the A2 and men's masters team to bring the team back into contention for the podium. The team also sits a mere 1 minute out of 4th place behind the 1st RC team- will she be able to move them up a position? Team Sam: Kristin is up and is matched up with a runner of very similar ability from Team Laura! She hoping to maintain or even put small dent into Team Laura 28 minute lead. This will give Team Sam a fighting chance in the final 2 stages! Team Laura: Kim will be running for Team Laura. She is looking to battle hard to keep as much of that 28 minute lead as possible. The team also sits in 6th ahead of the 2nd RC team, and is looking to maintain that position. Mixed Team: Mountain man is BACK IN ACTION! Craig Kingston, coming back from being hit by a car, is looking to put in a solid performance and test the legs and lungs out on the slopes of Wilmot line! Val Hobson had a solid performance of 1:14:46, and now sits a mere 3 minutes out of 3rd. Vicki battled with her foot again, yet still was able to tough out a 1:21:41 which keeps her comfortably in 6th place OA. She is 2:47 back of a PB with lots of racing still to come! Manny ran a very strong 1:25:51 and still sits in 9th place OA. Howie took this round with a 1:23, and the #HowieVsManny series now sits 2-2! Manny still holds a 12minute lead OA for the entire week! RunnerRob ran the fastest time of the day, finishing in 58:16. He now holds an overall lead of 21:57! Dave is starting to show signs that he is coming back to life as the effects of his cold subsides. He ran the 3rd fastest ultimate time of the day with a 1:06:24 clocking. He now sits in 5th place OA, and 3:35 off his 2012 PB pace! Jeff Martin ran a solid 1:13:46 and still sits very safely in 11th OA. 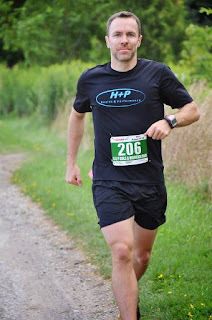 With this outstanding new course PB, Jeff is a mere 5s off his ENDURrun PB pace! Men's A1 team: Coach Sean ran 1:02:00, and the team now is now 20 minutes ahead of club record pace and about 9 minutes ahead of course record pace. They have a 53 minute lead over 2nd place. Men's A2: Dave Haiser had a very solid performance of 1:11:52. This was enough to bump the men's A2 team up to 2nd OA and they now carry a ~6.5 minute lead over the 3rd place masters team. A2 now sits 16 minutes off of the 2014 A2 team, but with some of their strongest runners still to come. Men's Masters: Speedy ran a very strong 1:20:05. This kept the men's masters team on the podium in 3rd place, and also maintained 14 minutes of their lead over the women's A team. Women's A: Andrea, who was only beaten by Sean in the relay, posted an outstanding 1:11:23. This bumped the women's team back up to 4th place OA with now a 1.5minute lead over the 1st place RC team who now sits in 5th. She also gave the team an increasing lead over the female course record pace of over 39 minutes! They now sit 14 minutes back of the masters team. Team Sam: Kristin battled hard to run a very strong 1:25:22. This kept the gap close to #TeamLaura, as they now sit 29:59 back in the #SamVsLaura challenge. Team Sam is less than 2 minutes behind the 2nd RC team for 7th OA. Team Laura: Kim was able to put even more of a dent into #TeamSam with a time of 1:24:20. This gives them a massive 29:59 lead over #TeamSam which will be much needed with some of their fastest runners still to come! They sit comfortably in 6th OA. Mixed Team: Mountain Man had a much faster than expected return to action with a strong 1:16 finish, and was the 5th fastest relay time of the day! Men's A1 team: Coach Dyce is up for the men's team. His 3rd year in a row doing this stage, he is looking to better his 2014 PB of 2:12:34. With a 20 minute lead over club record pace, and a 9 minute lead over course record pace, Greg is hoping to battle hard to give Rob a few extra buffer minutes in the marathon! Men's A2: Adam Dixon is up for the men's A2 team. He is going try to put his 70.3 fitness to work and maintain the team's position in 2nd OA. He is in a tough spot up against a very solid runner from the men's masters team. Men's Masters: Jon Fugelsang is up, and is looking to fight to maintain the team's position in 3rd, and perhaps even put a dent into the Men's A2 6.5 minute lead for 2nd place. He is also looking to maintain or even fight to grow upon their 14 minute lead vs. the women's team. Women's A: Coach Emily is up for the women's team. 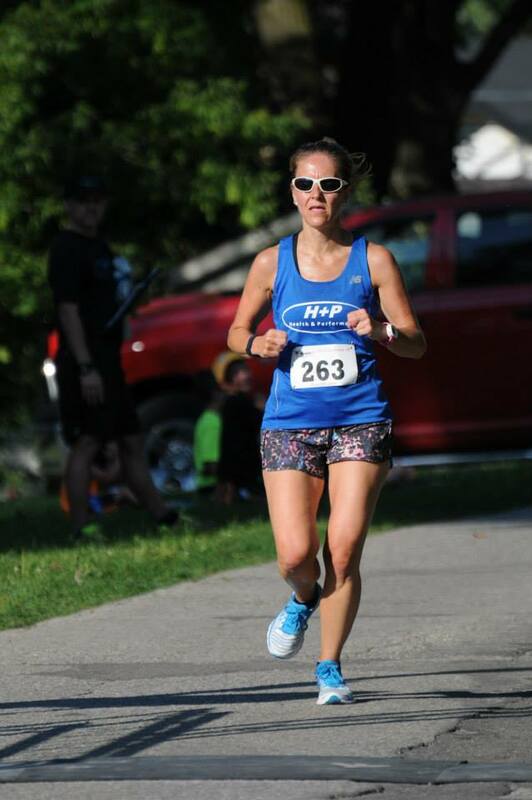 Her main goal is to beat her 2:34 PB from 2014 and grow on the team's 39minute lead over record relay pace. She is also hoping to put a dent into the men's masters lead of 14 minutes, and put the team in a position to make a run at 3rd place. Team Sam: Steve Parke is up and is looking for vengeance! 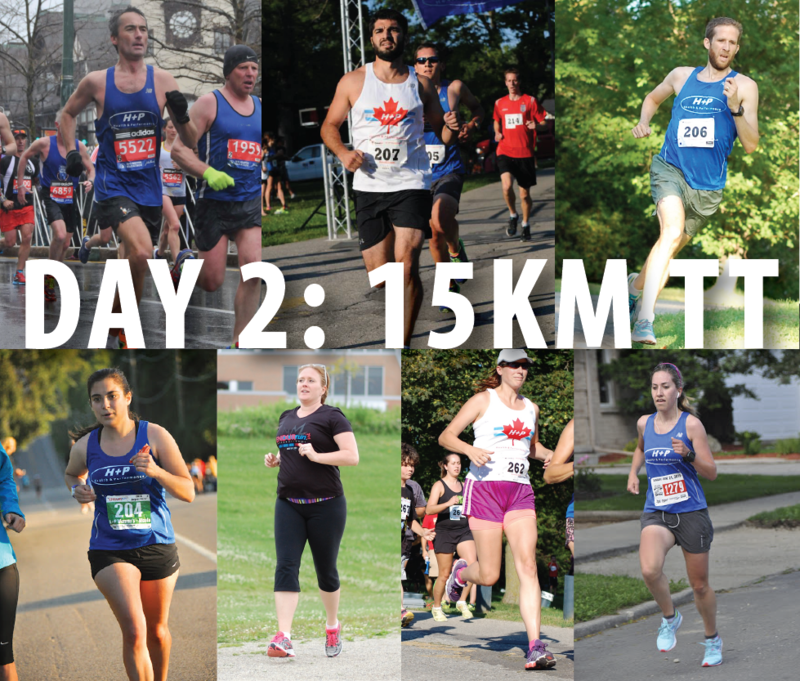 Less than a week removed from his sub-17 hour 100M race, he is looking to put a massive dent into that 29:59 lead that #TeamLaura has in that #SamVsLaura challenge. He is also hoping to make inroads on the 7th place RC team to bump the team up a spot. Team Laura: Linda is up for #TeamLaura. She is not expecting to beat Steve, but is looking to push her limits as she fights to maintain as much of that 29minute lead as possible. She is also striving to keep the team safely in 6th place OA. Mixed Team: Chris Philips is up. With zero training other than the 2.2K TT a few weeks back, Chris is praying that he finishes the race before the race finishes him. This..will..be..FUN! Val Hobson ran a great race! After taking it a little easy during the 10-miler, Val crushed an outstanding 2:35. Coming into this race she was 3 minutes out of 3rd. With this performance, she has jumped up to 3rd place with over a 10 minute lead on her next closest competitor. Vicki battled with her foot once again, but still managed to grind out the race and maintain her very solid 6th place position. Manny pushed hard, and ran a 3:31. Howie took this stage, so the stage tally is now in his favour 3-2, but Manny still holds the OA lead by just over 2 minutes going into the final 2 stages. RunnerRob ran a stage winning 2:03 to lengthen his lead in the OA standings to 30:12. 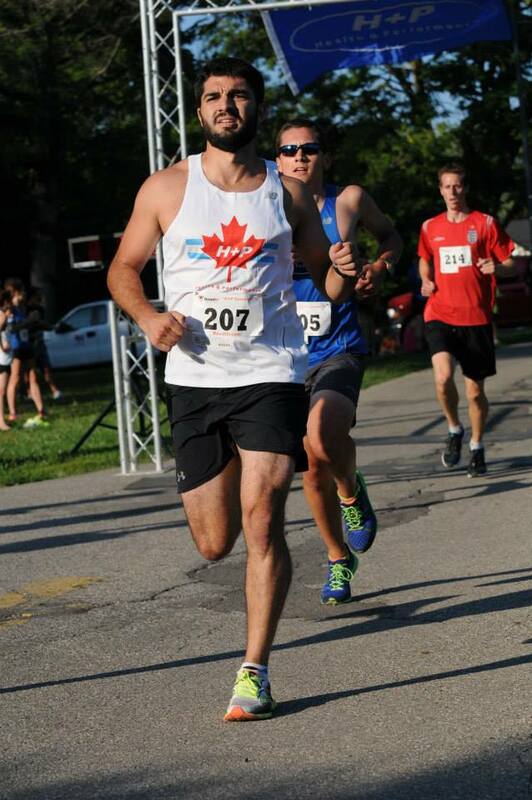 He also has launched himself into being on pace to post the 3rd fastest winning time in ENDURrun history. This puts him ahead of the pace set by Rich Tremain back in the inaugural event in 2003. 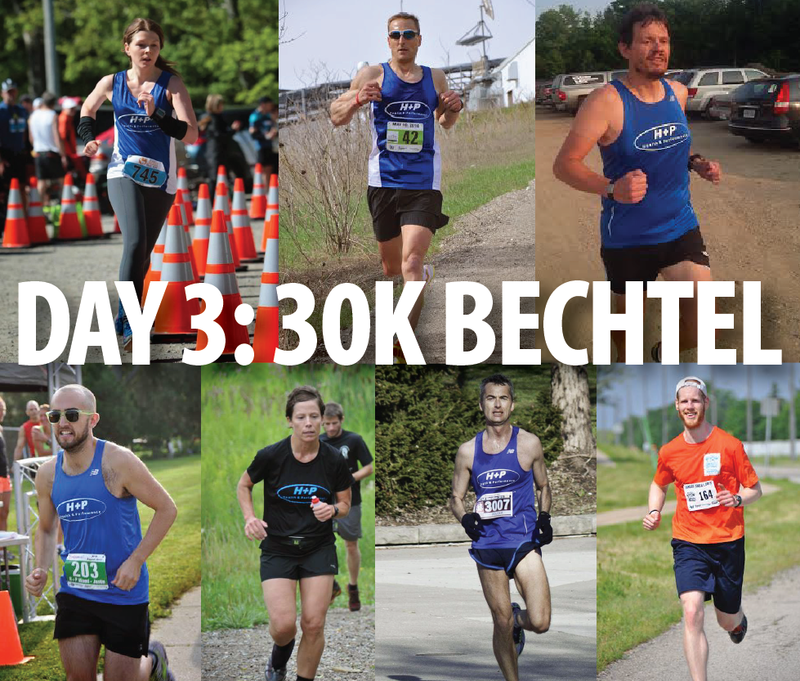 To put this in perspective, Rich has since gone on to a number of amazing running accomplishments, including setting the Canadian Masters Mile record of 3:54 in 2011. Dave ran a very solid 2:28 which keeps him in 5th place OA, with the 6th place hot on his heels only 1 minute back. Jeff Martin ran 2:38 which was more than enough to keep him in 11th OA! Howie beat Manny in this one, and now leads the stage tally 3-2. Manny still has an overall lead of 1:56. Men's A1 team: Coach Dyce posted the fastest relay time of the day with a 2:19:37. This was a hard fought time that keeps the team in first with a 1 hour 13 min lead over 2nd place. This was a 7:03 slower than his time from last year, and leaves the team 13 minutes ahead of team record pace, but just under 2 minutes ahead of course record pace. The record will be tough to take down this time around! Men's A2: Adam Dixon ran a strong 2:39. This was enough to keep the team in 2nd place OA, and they now sit 42 minutes back of last year's A2 team. Men's Masters: Jon Fugelsang started fast and battled to the bitter end! He ran a strong 2:41 which now leaves the team 2:12 ahead of the women's team who is in direct competition with them for the podium. They are also only about 7 minutes out of 2nd! 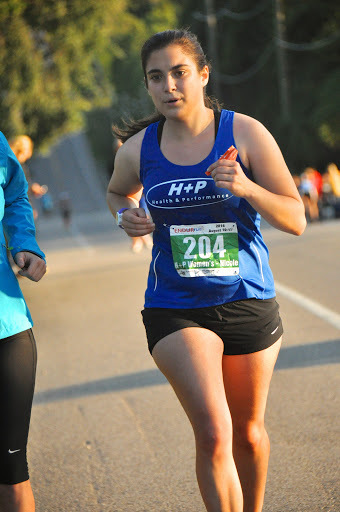 Women's A: Coach Emily had quite possibly the BEST race she's ever had with H+P. She managed to post the second fastest relay time of the day, and 2nd fastest female time of the day: 2:29:11. This gave the women's team a massive 11:50 cut into the men's masters team as they now sit 2:12 behind them for 3rd OA. This also put them even further ahead of women's relay record pace which now sits at 44:25. Team Sam: Steve Parke came through and made things interesting! Just 6 days removed from his 100M race, he still ran a solid 2:32. This closed over 25 minutes on Team Laura, and they now sit a mere 4:34 back. this also bumped the team up a position to 7th OA. Team Laura: Linda had an oustanding race. She ran completely to her max with a solid and consistent time of 2:57. This was enough to maintain Team Laura as the leader in the #SamVsLaura challenge with a gap of 4:34. They still sit in 6th OA. 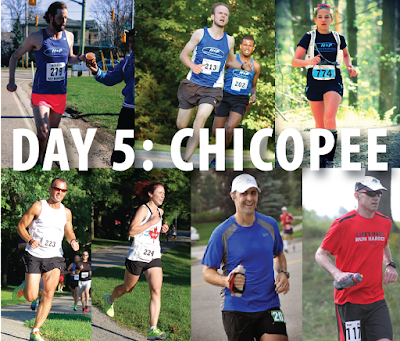 Mixed Team: Chris Philips showed why he doesn't train...because apparently he doesn't have to! With one run in the last month, he still finished this insanely tough 25.6K course in a solid 3:32! - Only 1s/K separates the women's team and masters team! - Only 1s/K separates Valery and Jeff who will be anchoring the women's team and men's masters team respectively. Men's A1 team: Jordan is up for the men's team. Being only a few minutes ahead of record pace, he is hoping to better his 35:49 time from last year and keep the team alive in their chase for the course record. Men's A2: Alex Dos Antos is up for the A2 team, and is hoping to add a small advantage on their 7 minute lead over the 3rd place masters team and solidify their 2nd place podium position. Men's Masters: Steve Schmidt it up for the masters team. His goal is simple: hammer as hard as he can, and try to build the team's 2:12 lead on the 4th place women's team. Women's A: Payton is up. She is not expecting to beat Steve, but is looking to run as hard as possible to try to maintain as much of that 2:12 gap as possible. This will give Val a fighting chance in the marathon to pass the masters team. Team Sam: Tracy Urquhart is up. 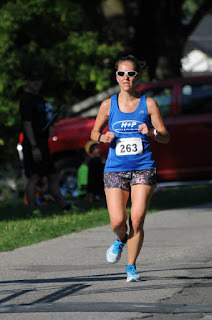 Just one week removed from her awesome 70.3 performance in Michigan, she is looking to fight to maintain as much of that 4:34 gap to Team Laura as possible. Team Laura: Val T is up running in her first race for H+P since her marathon record breaking season in 2013. She wants to do everything she can to grow upon that 4:34 lead over Team Sam. Mixed Team: Tracey Kuchma is up for the the mixed team. She will be chasing a new PB on this flat and fast TT course! Val Hobson ran well yet again. She was able to run a very strong 43:37, which maintains her 3rd place position OA. Vicki put in a very solid effort to come in with a time of 47:37. This was more than enough to keep her in 6th place OA. Manny ran a 50:56 and still sits in 11th OA. More importantly, this was enough to keep her in the lead of the Manny vs Howie challenge..but by only TWO SECONDS! 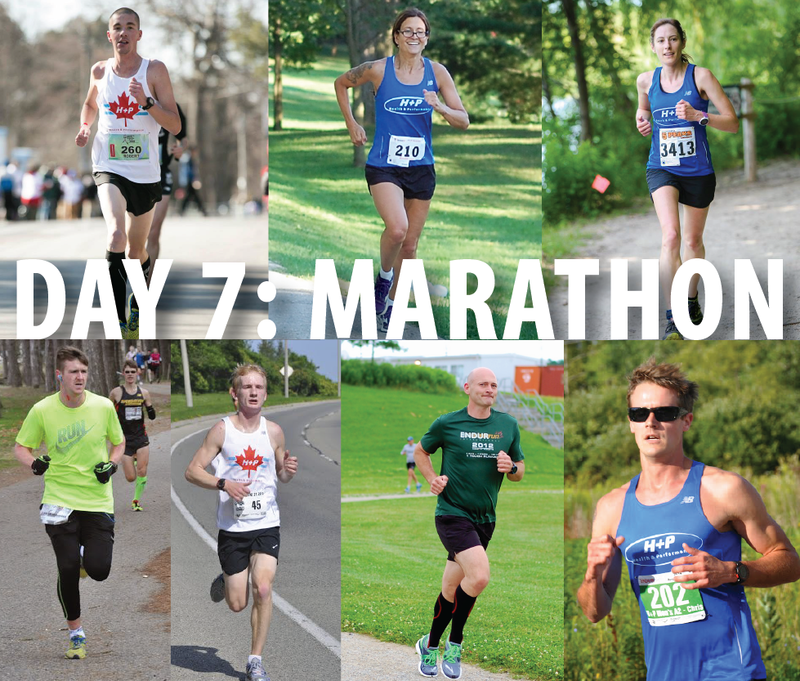 It will all come down to the marathon for these friendly competitors. RunnerRob ran an outstanding 10K just off of his PB. 33:21 was fast enough to win the stage OA, and to build upon his massive lead in this year's race. This time also grows upon the 4th place all-time performance by Rich Tremain, which makes it look very possible that Rob will post the 3rd fastest ENDURrun finish time ever, and be the 2nd fastest ultimate (Charles Bedley holds the #1 and #2 best times ever). Dave, while still struggling with feeling under the weather, still managed to hammer home a respectable 41:24. He has had a great attitude and been a positive force all week despite this disappointing and ill-timed cold. Dave now sits 6th OA, an outstanding position despite not being at his best. 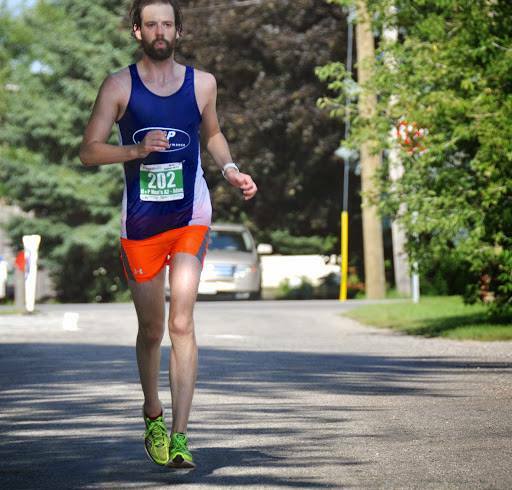 Jeff Martin came home with a 46:03 10K, another strong showing that keeps him in 11th OA. 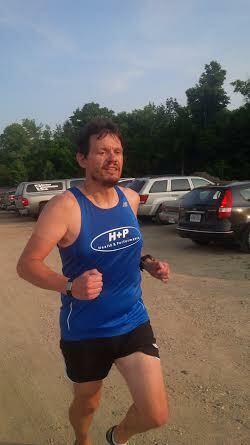 He now sits 6 minutes off his ENDURrun PB with 42.2K to go...will he be able to take his 2013 ultimate time down? Howie..well this is just crazy. After 6 stages, the gap between him and Manny is TWO SECONDS. This is even more impressive since they barely ran together all week. It has been a lot of back and forth to say the least. Howie took the 10K with a time of 48:58 which puts the stage tally to 4-2 in his favour. Men's A1 team: Jordan ran the 2nd fastest relay time of the day to come in with a strong 36:55. This was not exactly what he was looking for, but still an excellent result that keeps the team about 12 minutes ahead of team record pace. This now sets up Rob for the relay record. He will have to run 2:42 to set the team record- which seems like too much to ask after a week of racing- but you never know with how he has been looking! Men's A2: Alex Dos Antos came in with an outstanding and surprising personal best of 36:31. This solidifies the team's position in 2nd OA with a 12 minute gap. 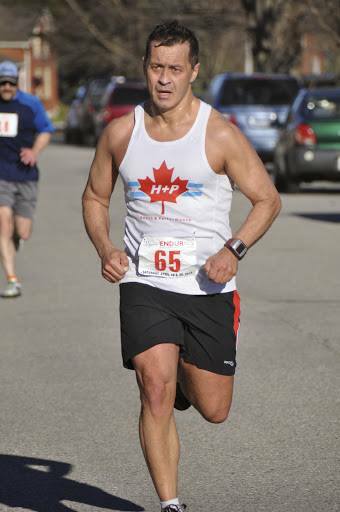 Men's Masters: Steve Schmidt had a great debut in the 10K for the masters team. He ran 40:52, which increased the team's lead in 3rd place OA. In the masters vs. women's team challenge, the men now carry a 7minute buffer, which as we all know, can disappear quickly in the marathon. Women's A: Payton ran a strong 45minute 10K, which was enough to keep the women's team on pace to break the women's team relay record by over 41 minutes! It also keeps the team within striking distance of the masters team as the gap now sits at 7:14. Team Sam: Tracy Urquhart, just one week removed from her IM 70.3, still pushed a strong 47minute 10K for team Sam. This keeps the team within striking distance in the marathon with a 9:03 deficit behind Team Laura. The team still sits strong in 7th OA. Team Laura: Val was able to achieve a very successful return to H+P racing with a strong 42:36. This increased team Laura's lead over team Sam by just under 5 minutes on the stage to give them a 9:03 lead OA. They still hold a strong 6th place OA position. Mixed Team: Tracey Kuchma ran an amazing new PB of 49:46! This is over 3 minutes better than her pervious mark, nice work Tracey! Men's A1 team: RunnerRob is up for the men's A1 team. While the team has a solid 11:54 lead over team record pace, the chance of taking down the event relay record will be tough. He will have to run a 2:42 or faster to make this happen. Men's A2: Chris is up for the men's A2 team. He is looking to run a fast enough time to maintain the team's position in 2nd OA. The current gap to the 3rd place team is about 12 minutes. Men's Masters: Jeff Martin is up for the masters team. After a week of beating up his legs doing the ultimate, he says he still wants to chase a PB! He hopes to hold onto the team's 3rd place position, but is up against a fast runner on the women's team who are 7:14 back, and a great runner from the RC team who only sit 10 minutes back. Women's A: Val Hobson is racing for the women's team. Like Jeff, she too has crushed her legs all week. She is just going to run her race and see what happens! Team Sam: Colin is lacing up and ready to run a hard marathon for Team Sam. There is a 9minute gap between the two teams in the #SamVsLaura challenge, but he is facing off against a runner of very similar ability to him...at least on paper! Team Laura: Nick is up for #TeamLaura. He is attempting to put together a successful marathon debut while also trying to maintain or even grow upon that 9 minute lead over Colin and team Sam. Who will win this #SamVsLaura challenge?? It's definitely too close to call going into the 7th and final stage. Mixed Team: Vicki Z is up for the mixed team! She is looking to finish her injury-plagued week off on a positive note with a strong marathon for herself and for the team! Well the marathon was HOT, HUMID and therefore a sufferfest for many. What a challenging and soul-crushing way to finish off this week. That being said, many of our athletes still conquered and ran great times. Here are the results. 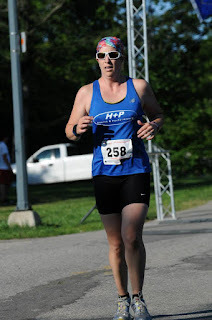 Val Hobson ran a very strong and evenly paced marathon in this brutal heat. She came in with a time of 3:28, and a final OA time of 3:11:56. 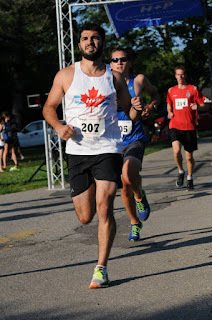 This gave the ENDURrun rookie a 4th place finish OA! Vicki Z decided enough was enough, and wanted to enjoy the day after a week of foot troubles slowed her down. She cruised the marathon in 4:30, and still finished in a very solid 8th place OA! Manny never gave up, and at somewhere in between 25-30K was close to taking down Howie! Yet today was not her day, and Howie was able to edge her out on this very close #MannyVsHowie battle. That being said, she posted a solid time good enough to keep in her 11th place OA! RunnerRob ran 2:51, which was the fastest time of the day. This brings him with the OA win with the 3rd best time ever- 10:40:18! 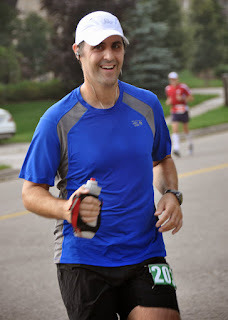 Dave just couldn't shake the bug that has been crushing his energy levels throughout the ENDURrun. Despite being beat down all week, he refused to quit, and even refused to give up on trying to go fast. In the end, the cold hurt him in the marathon as he ran a 3:32- a great time, but not representative of his current fitness. This lands him in 8th OA for the week. Jeff Martin was completely beat down after a week of hammering, but like Dave, he too fought hard not to quit. He ended up running a 4:14 which brought his final time to 14:03 and 13th OA. Howie pushed his limits, and at one point was on the verge of being taken down by Manny. He hung in there for a 4:08 marathon and a 15:55 final time. This was enough to give him the victory in the #MannyVsHowie challenge! Men's A1 team: RunnerRob ran an outstanding time of 2:51 which was enough to give the team the 4th fastest time ever, and a club record of 11:15:01. The team is happy with this..but is STILL very hungry for that 11:05 record..onwards to 2016! Men's A2: Chris came in with very limited training, but showed some outstanding mental toughness. He was able to run 3:20:35, and keep the team in 2nd place OA. Women's A: Val Hobson battled strong in the heat and ran an excellent 3:28. 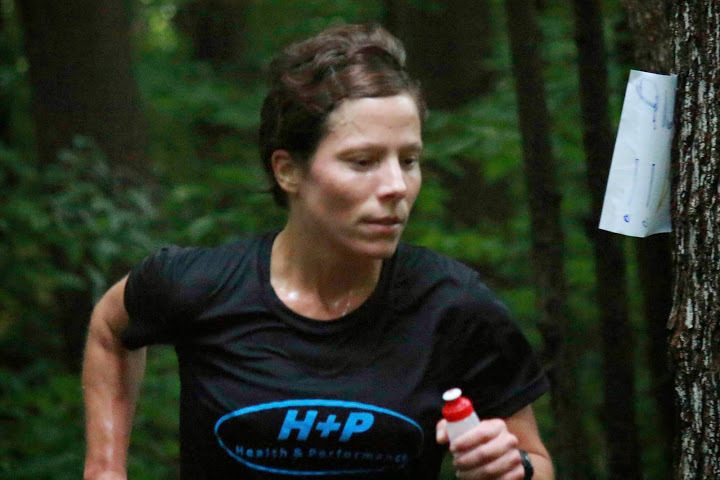 This brought the women's team final time to 13:23- a new ENDURrun and H+P record. This also gave them the win in the women's team/ masters team challenge! The RC team ended up using a very speedy ultimate as their marathoner in Stefan, so the women landed just off the podium in 4th place. Men's Masters: Jeff Martin, who had been hammering all week as an ultimate with lots of successful racing finally got the message from his body that enough was enough. He still stayed tough and ran a 4:14, good enough to keep the men in 5th place OA, making them the 4th H+P team in the top 5. Team Laura: Nick had an amazing marathon debut for #TeamLaura. Just 6 weeks of training for this, and he still managed a 3:16 which solidified Team Laura as the victors in the #SamVsLaura challenge. In fact the time was so good, the team was only a couple minutes outside of the top 5 when all was said and done! Team Sam: Colin ran his marathon on no training. Apparently this makes life tough on race day! He still got the job done in 4:27 which was actually more than enough to keep the team in 7th OA. 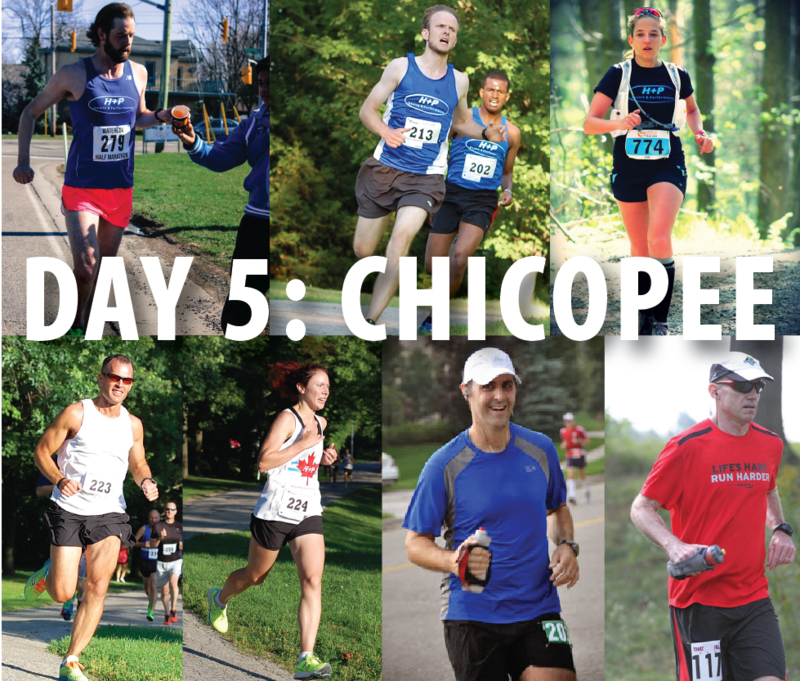 Mixed Team: Vicki Z was hampered with foot issues all week, but still had fun and got the marathon done! She was not in this one to push herself but to enjoy the day. She finished in 4:30 and the mixed time had a final time of 16:46. Well, thanks for everything ENDURrun! It's hard to believe the 2015 edition has come and gone already. We shall be back for more in less than 1 year with more athletes, and faster teams! 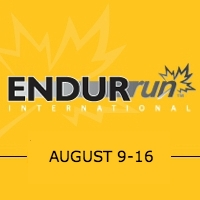 The ENDURrun is less than one week away! 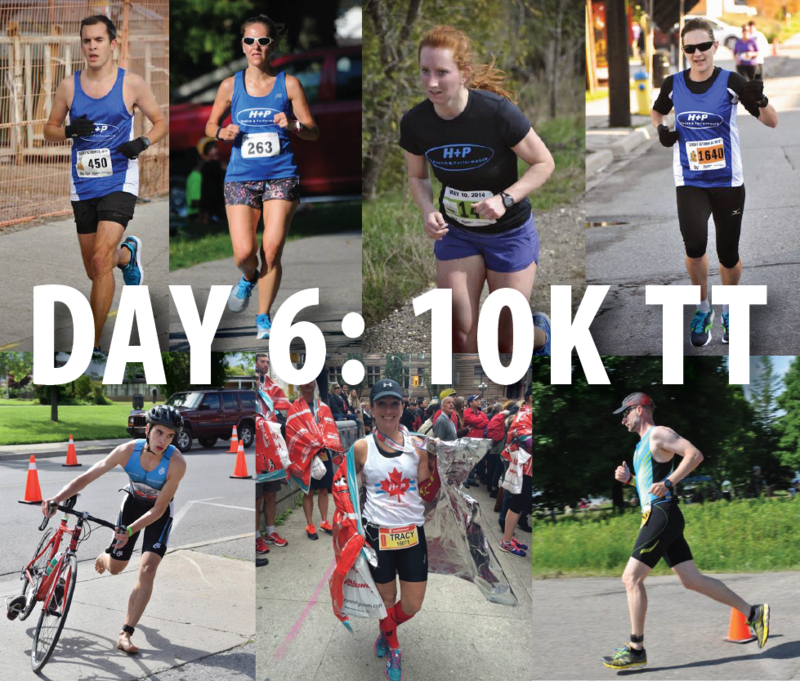 We had an amazing time last year, and this is shaping up to be even better with 7 H+P relay teams filled an ready to go. 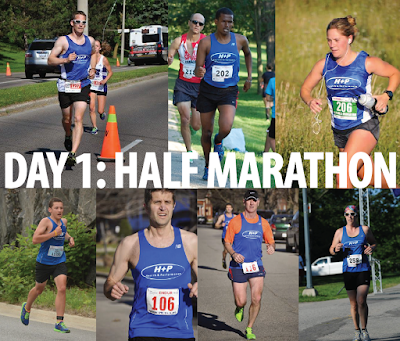 Today we are excited to introduce our 7th of 7 teams- our H+P Mixed team! To push their limits, have some fun, and hit some PBs! To possibly take down the mixed team result from last year. Follow the battle HERE. Make sure to follow the action on our Facebook Page as well as the battle on our stats page the second week of August! We will keep you up to date on stage results, full event standings, how they are stacking up against our 2014 mixed team! Today we are excited to introduce our Men's A2 Team! With Brendan having to miss his stage for the A1 team, Luke was taken from the A2 team to take his spot. Jan was more than happy to fill Luke's spot to keep this team alive! The major goal for our A2 team is to take down our 2014 Men's A2 team. Follow the battle HERE. While the A2 team is not looking to beat the the A1 team, each individual runner is looking to challenge their stage competitor on the A1 team as a secondary goal! Favourite Workout: The one I'm doing as I do it. I hate it beforehand and afterwards. Masters Athlete Tip: Listen to your body. Don't run more or faster than your legs can handle.